I’ve crossed paths with Richard X. Heyman a lot through the years. At least, I’ve crossed paths with his name. But I’m not sure I’ve ever reviewed one of his albums before. It’s greatly overdue. I think I may have ended up on his mailing list right around the time the ramping up of my real-life and career-job obligations caused me to stop publishing Geoff Wilbur’s Renegade Newsletter, so I’ve been following his career but haven’t had an opportunity to write about him for nearly a decade and a half. Of course, even at the time, I was a bit late on-board, as Richard was already a household name in music circles. From his gig with The Doughboys to his solo career, which began in the late ’80s, Heyman is much revered in the industry. And it’s no wonder. Incognito is a diverse, engaging, catchy album. Songwriting is at the basis of the songs’ charms, with influences ranging from ’50s to ’80s (and beyond). These are timeless pop songs. At times, the delivery is a little ’70s folk-pop-rock in nature, sometimes there’s a hint of a punk influence, at times I hear Beatles (or Monkees) song influences. Incognito begins as an engaging album but slowly grows into a long-time favorite. I’m pretty sure this one’s going to have staying power, that I’ll still enjoy listening to it a couple decades down the road. The album opens with perhaps the catchiest song of them all, the title track “Incognito.” Or maybe it just seems to be the catchiest because it’s the first song I hear each time through. But it’s memorable. 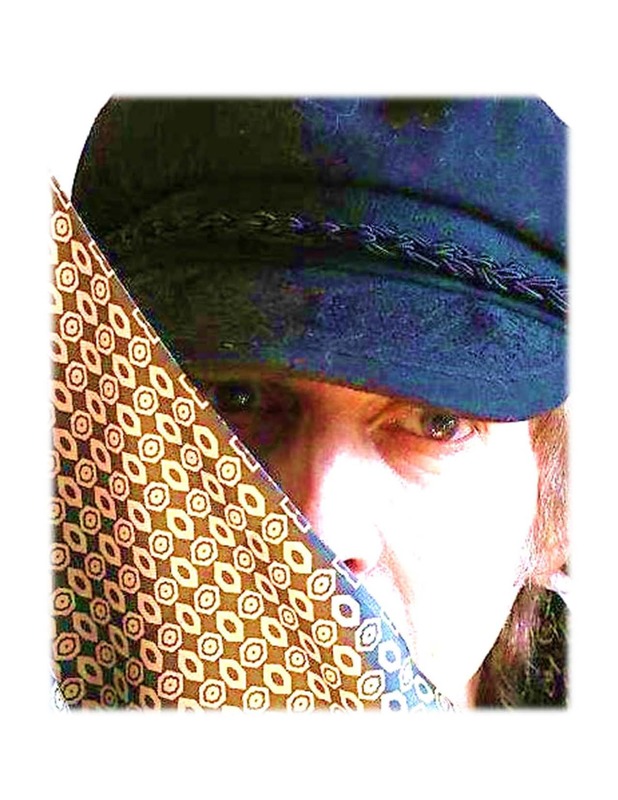 This is a slightly psychedelic, mid-tempo ’60s-style rock number with an insistent edge to Richard’s vocals. And yet it’s combined with a bit of an ’80s new wave melodic undercurrent. Not straight-up ’80s music, but rather an ’80s song paying homage to the late ’60s, a catchy rock ‘n roller with its own hybrid sound. It’s a great way to begin the disc, an instant foreshadow that you’ve begun a song collection that’ll be well worth your attention. “A Fool’s Errand” follows with a more Beatles-esque ’60s vibe. Then “Chalk It Up” amps up the energy and volume, with a raucous, rockabilly-ish recurring guitar hook adding a little jangle to an otherwise straight-ahead, pre-George Thorogood-type fast-tempo rock ‘n roll ramblin’ song. Another personal favorite, “And Then,” follows. It’s sort of a summer-of-love-era mainstream rocker. In other words, there’s a rockin’ folk edge to Richard’s vocals and to the instrumentation of the melody itself, with well-placed harmonies adding richness to this pop-rock number. “Gleam” is an energetic number for which there’s an accompanying YouTube video. It’s an emotional travelogue, a heartfelt, road-music-styled love song, the road-music energy helped along by some well-placed finger-picking, with the rock ‘n roll edge driven home by some multi-instrumental enthusiastic chorus-crashing. That’s followed by one of the catchiest, poppiest songs on a disc full of catchy pop-rock songs: “So What” is a well-crafted, songwriter-evoked musical smile. “In Our Best Interest” then brings the mood down a bit with a more heartfelt introspective musical and lyrical design, sung with a more gravelly delivery than found elsewhere in this collection. “Her Garden Path” has a psychedelic ’60s guitar rock vibe. “Lift” carries that mood on, but with more of a grand presentation; in fact, it would probably fit nicely on one of Asia’s hit albums in the ’80s. Dialing up yet another influence, “Miss Shenandoah Martin” is almost full-on folk, particularly in the opening before adding a bit more tempo. This is the most Americana song on Incognito; it would be the most pop-rock song on a true Americana disc. 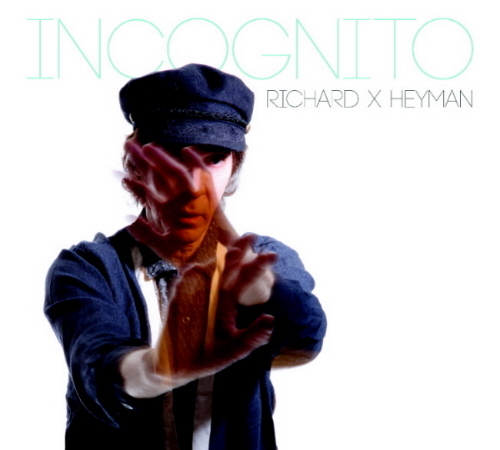 Again with the many influences; this album showcases a broad variety, suggesting that Richard X. Heyman is a connoisseur of good music, regardless of genre, that his songwriting and performance goal is the pursuit of a good song, while his identifiable voice and delivery serve to provide a cohesive, identifiable sound across an album’s collection of songs. Next up, “All You Can Do,” serves up another dose of folk influence, with organ providing an engaging, original edge. “These Troubled Times” circles back to a melancholy, introspective storytelling delivery, almost like you’d expect from someone like Bruce Springsteen. Disc-ender “Everybody Get Wise” opens with a Talking Heads-ish jangle before bringing in some Motown-inspired harmonies, settling into a bit of enjoyable musical tension between the two songs, delivering an enjoyable, satisfying end to Incognito. I have some favorites on the disc – “Incognito,” “And Then,” and “So What,” probably the pop-hittiest songs of the batch – but enjoy the variety of influences and deliveries throughout the disc. It’s a great beginning-to-end listen, a journey narrated by one of our time’s most versatile independent singer-songwriter storytellers. This entry was posted in Album Reviews and tagged Album Review, Geoff Wilbur, Richard X. Heyman. Bookmark the permalink.